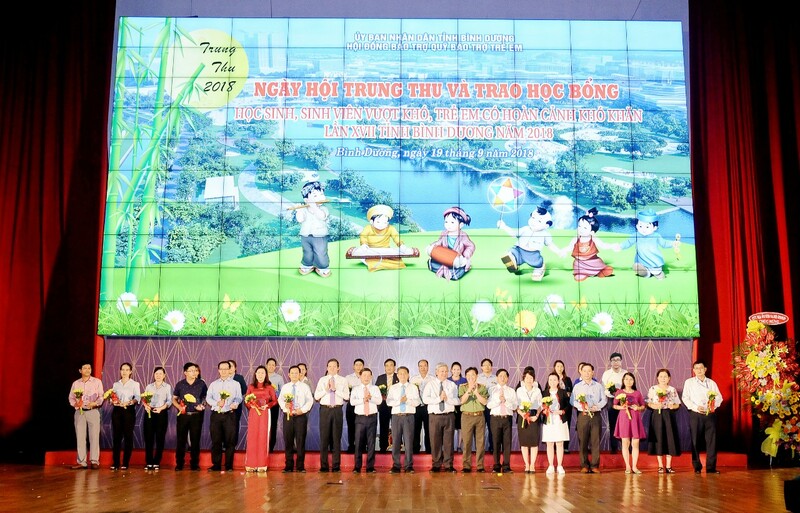 Immersing the funny atmosphere of Mid-Autumn Festival, on 19th Sep, 2018, GS Battery Vietnam Co., Ltd sponsored “Mid-Autumn Day and scholarship hand-over for difficult children” held by Children Patronage Fund, Department of Labor, Invalid and Social at Binh Duong Conference Center. Coming to the festival day, GS Battery Vietnam Co., Ltd joined and hand over 265 moon cake, lantern and milk with the total value: 24,000,000 VND for 265 difficult children with the good result in studying. This is the annual activity of GS Battery Vietnam to share the community responsibility with local authorized agencies to help difficult children having the good result in studying as well as contribute to make the good conditions for children to enjoy the happy mid-autumn season. GS Battery Vietnam Co., Ltd. hand over the gift to difficult children. (03/04/2019) GSV PARTICIPATED IN SPONSORING THE PROGRAM "TET FOR THE POOR" AND "SPRING FESTIVAL OF 2019"
(03/04/2019) GSV SPONSORED THE PROGRAM "SPRING WITH CHILDREN WITH DIFFICULTIES IN BINH DUONG PROVINCE XII IN 2019"